last week i was offered a position teaching in a head start classroom at a chicago public school. because this has been my goal since i finished graduate school nearly three years ago, and because it is a school with a great reputation, and because i have been struggling to pay the bills on my old salary, i accepted the position. it was heartbreaking to say goodbye to my co-teachers and my kids. the good news is that my new school is also in the chinatown neighborhood, so i will be able to come back and visit often. 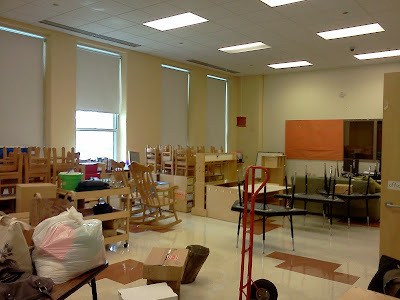 and now- i have approximately 12 hours of time in my classroom between today and next monday- the first day of school. 12 hours to arrange the entire room and create a curriculum.